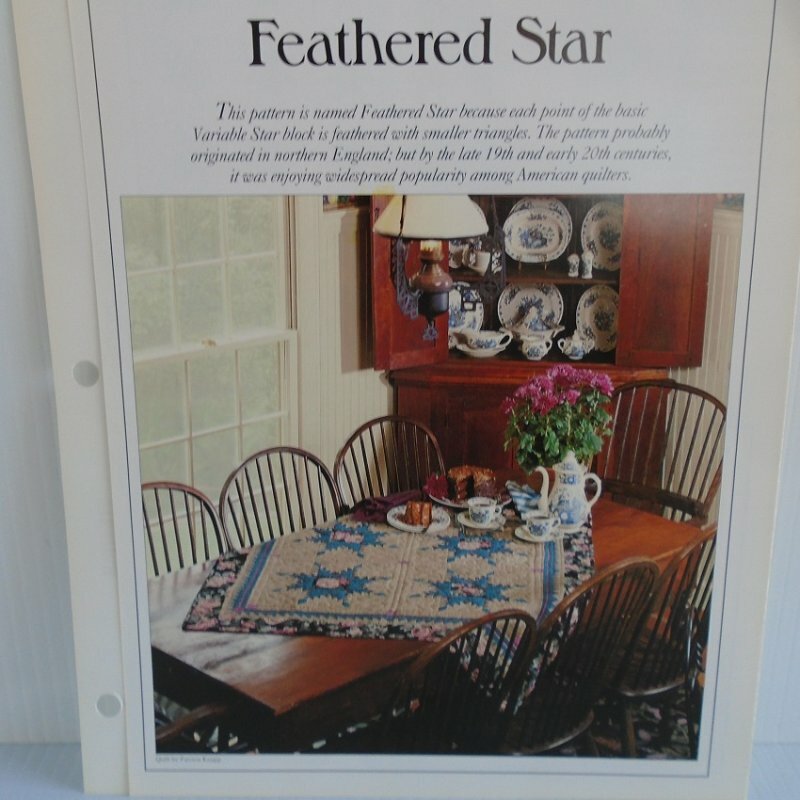 Feathered Star quilt pattern with stencil templates. From Best Loved Quilt Patterns Series by Oxmoor House Inc. 1992. This pattern is named Feathered Star because each point of the basic Variable Star block is feathered with smaller triangles. The pattern probably originated in northern England; but by the late 19th and early 20th centuries, it was enjoying widespread popularity among American quilters. The pattern and templates offered in this listing were designated in the Diamond and Stars category. You will receive the brochure which tells the finished sizes, fabric requirements, the amount of pieces to cut, and instructions for piecing both a wall hanging and a full/queen size quilt. You will also receive the actual templates that is the exact size needed to cut all the pieces of material. The template is made of a hard, yet flexible plastic.